Make your bathroom a relaxing paradise by upgrading the look and efficiency of your old shower with one of our innovative products. 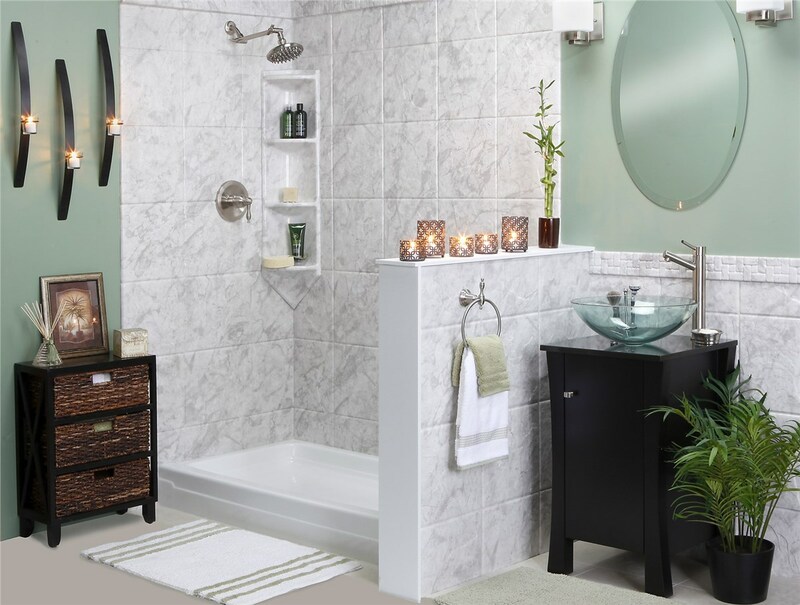 Offering the north Texas and southwest Oklahoma regions superior bathroom products and shower replacement by Luxury Bath-certified installers. 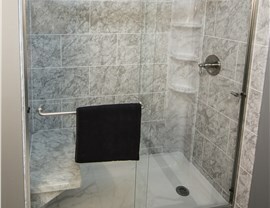 Nothing takes away from a relaxing shower experience more than having to bathe among mold, mildew, or worn out fixtures. 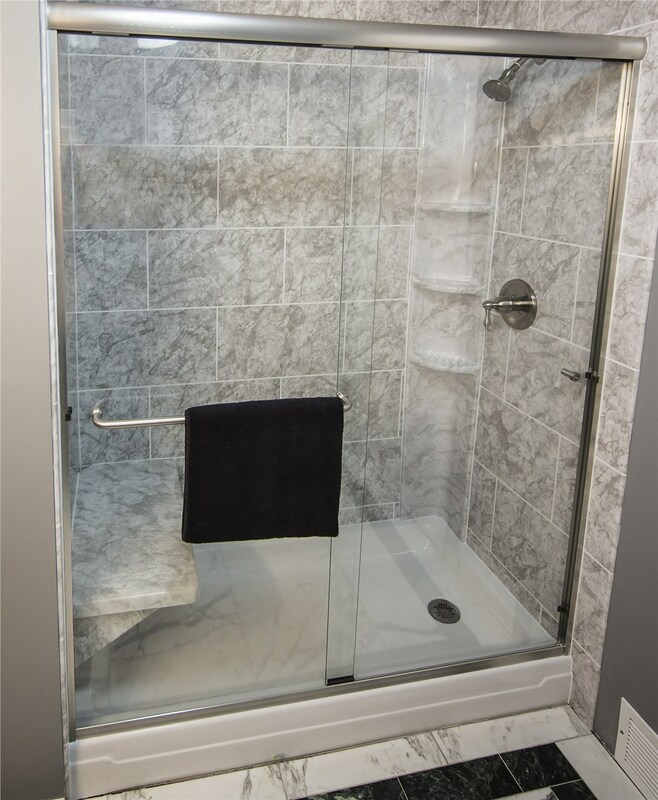 Change your daily shower for the better by having Luxury Bath replace your shower with one of our beautiful full-featured models! 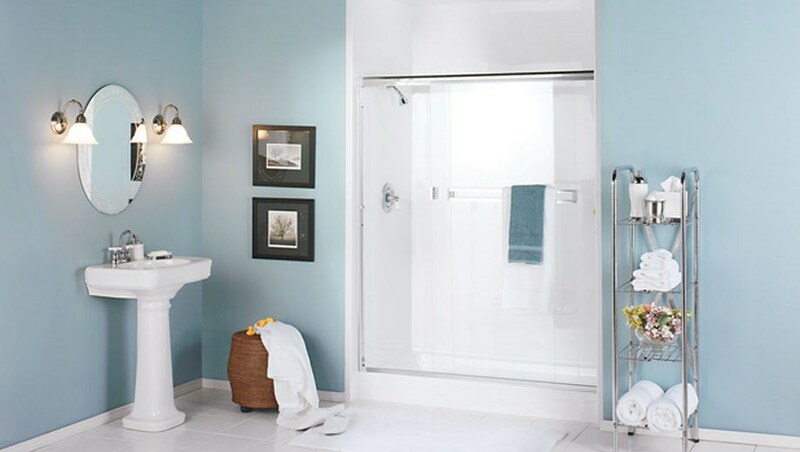 Whether you need to convert your worn-out tub into a space saving surround or want to update the look of your bathroom with new shower doors, we will help you select the products that can bring your vision to life. 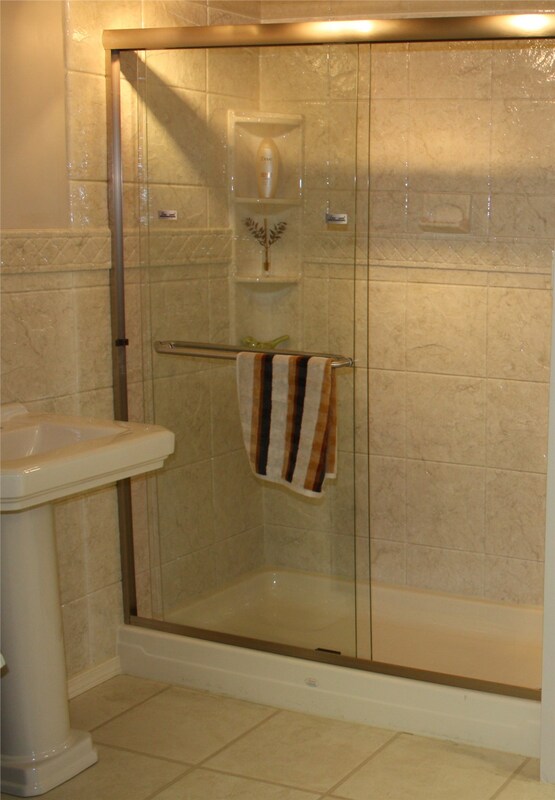 Doors – Bring the look of your existing shower into the 21st century by having our professional team replace your shower doors. Enclosures – There are multiple features available for replacement shower enclosures, including roll-in access and space saving designs. 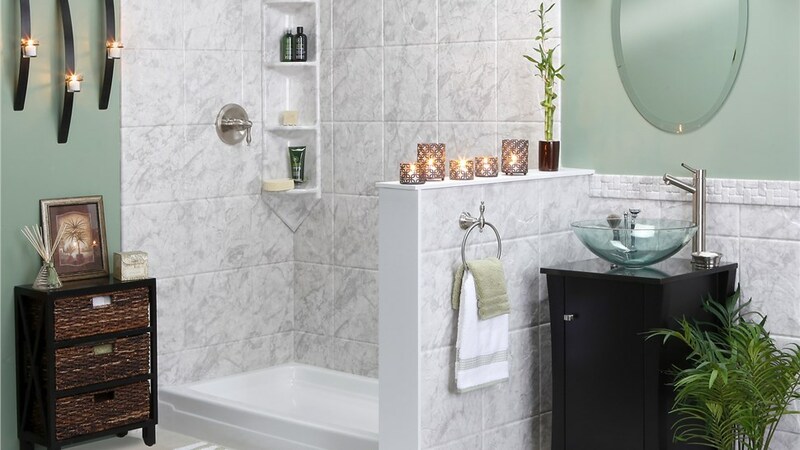 Surrounds – With 10 color options and eight choices of tile, we can help you find the perfect solution for any size bathroom space. With over 86 contemporary color and pattern options, there is something for everyone in our huge inventory of revolutionary replacement showers. The team at Luxury Bath Texoma is made up of experienced bath remodeling experts that are committed to efficiency and quality. Our cutting edge installation system allows us to change the look of your entire bathroom with practically zero mess in just two days! 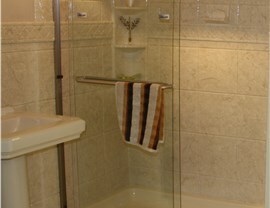 There’s no need to sacrifice on quality when working with our efficient installation team at Luxury Bath Texoma! 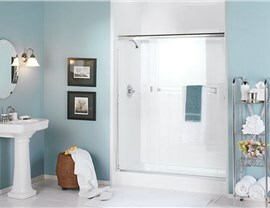 View our product selection and speak with a shower replacement professional today.